 Abundant water wells is a family owned and operated business. We Love our jobs we love our country and we love God. We Pride ourselves in a meticulous workmanship on every well and every project we do. Whether a shallow back yard well or a 1500 foot Ag well we will do the job right in a quick time frame at a competitive price.